Delicious organic spice blends that look as great as they taste! National Award winner- 2017 sofi award from Specialty Food Association in Salsa/Dips category. 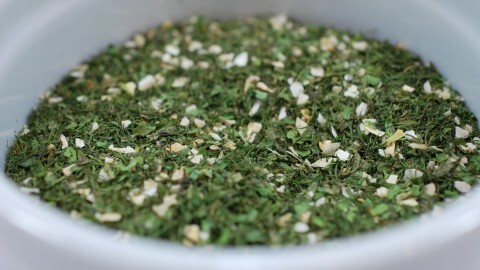 All of our blends have no chemicals, no additives, no preservatives, no MSG, no allergens. We have our own facility to insure safety controls to keep our blends safe; our blends are not pulverized into a powder to sprinkle! Each packet has the perfect organic natural ingredients combined to make a delicious, simple to prepare side salad (Potato Salad) and dips (Dill Dip, Onion Dip) using the entire packet. One would have to spend approximately $60 – $80 in retail spice/herb shakers, to replicate our products. We make it fresh, easy, and superbly delicious each and every time one prepares them. Your friends, family and guests will ask you for the recipe. 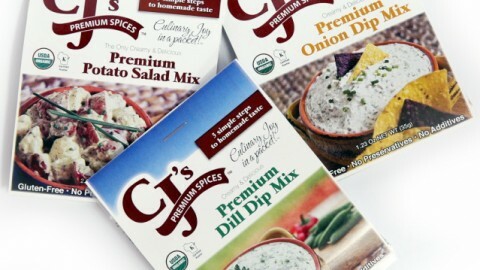 CJ’s Premium Spices is committed to provide the cleanest label of ingredients without compromising the taste. You have my word, we will continue to be the best complete spice blends to make your favorite side dish and/or dips! Thank you!